Suggested Expenses is a list of expenses that is primed for submission, based on data that is already in your account and your company’s expense policy. 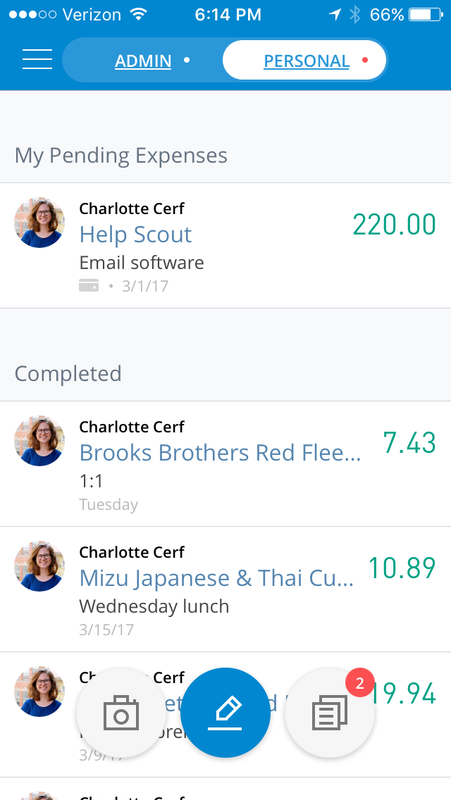 Using information from your card transactions and historical expense data, we'll create a list of expenses in a single feed. We'll also attempt to match your receipts to your card transactions. 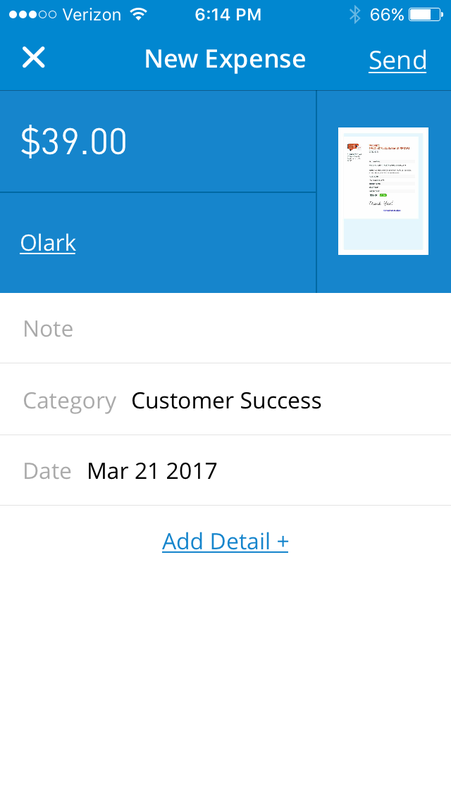 You can review the expenses, add additional information where necessary, and quickly submit your expenses. This is also a great way to quickly submit a batch of expenses in one fell swoop right from your Suggested Expense page. Where does the expense data come from? Credit card transactions from a personal or corporate credit card: we'll transcribe and auto-populate the date, merchant, and amount. 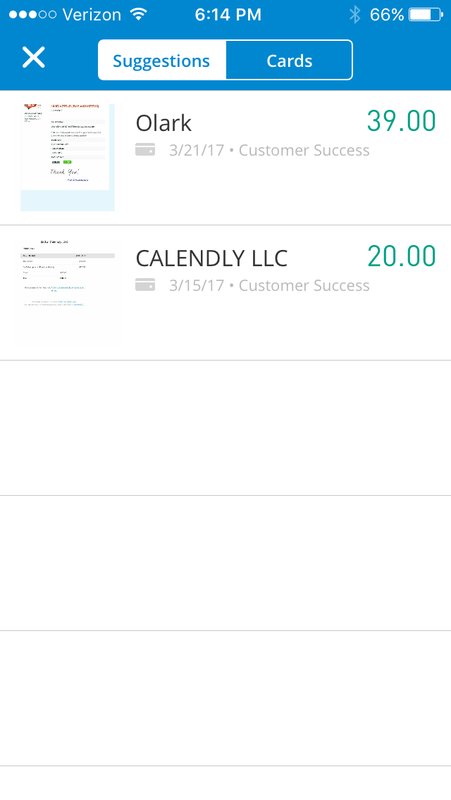 Expense History: based on historical expenses, we'll remember the category and make sure the merchant matches your historical expenses. 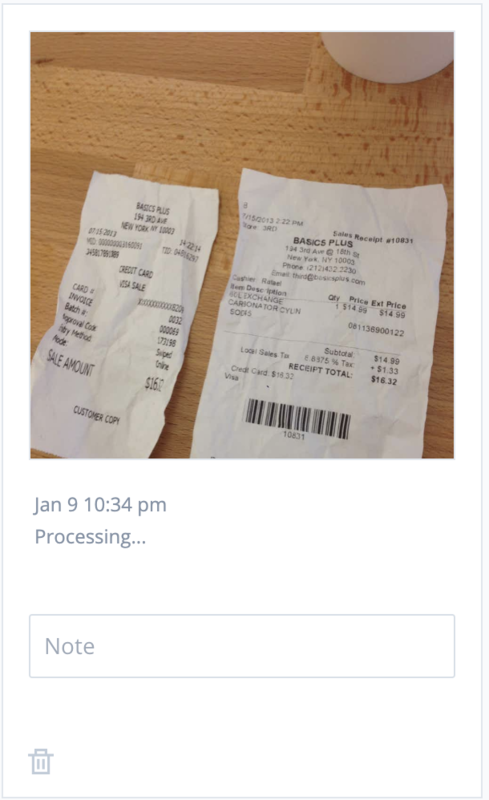 Uploaded and Forwarded Receipts: using receipt transcription, we'll transcribe the date, merchant, and amount. Abacus compares your card transactions to your receipts, and if there's a match, Abacus will add that receipt to the expense proposal. How do Suggested Expenses work? As we pull together all of the information from your card feeds and expense history and start to compile your expenses, we score the amount of data collected for each expense and if it meets a certain threshold, then we will recommend it for submission. We will also compare the expense to your company’s policy and let you know if anything needs to be filled in before you can submit it. Don’t worry - you can submit expenses at any time from your receipt bin or card feed just like you always have. Suggested expenses is just our way of helping out! If you need to navigate to the regular expense form, click the expansion arrows in the bottom right corner to open the expense submission modal. Can I submit all suggested expenses at once? Yes! 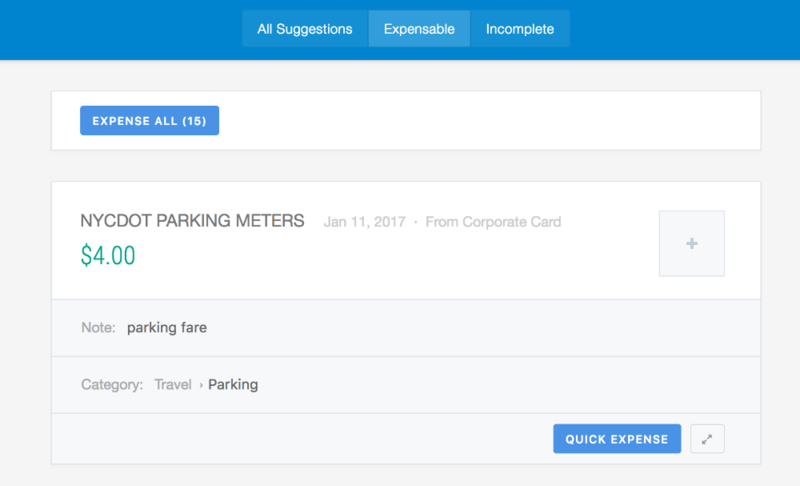 We break down your suggested expenses into two groups: "expensable" and "incomplete." Expensable indicates that all requirements have been met for that expense (eg. if your team has a "receipt required" rule). Incomplete indicates that there is still more information required before submission is allowed. The "Expense All" button allows you to submit all "expensable" items at once! What if I don't have any credit cards connected in my account? You can still use Suggested Expenses! Once you store a receipt in your account in Abacus, we will auto-populate the merchant, date and amount on the receipt within a few hours. We'll also auto-categorize the expense if it's a merchant we recognize from a previous expense. When a receipt is first uploaded into your account, it will say "processing," which means that we are still transcribing the data on the image. Suggested expenses is also available on the iPhone app. If there are any suggested expenses, you'll see them listed in the "Suggestions" tab. Tap to open an expense. In this example, a receipt had already been forwarded that auto-matched with the card transaction. Since this was a vendor that's been used before, it was also auto-categorized. All that's left to be done is add in a note and click send!